This flared, body-shaped jacket has set-in, bell shaped sleeves and a stand-up collar. 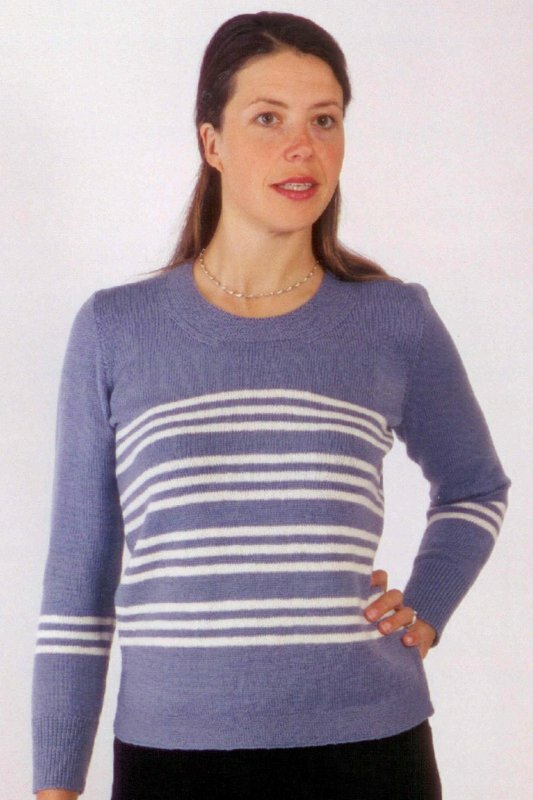 It's knitted in stocking stitch with ridge-stitch pattern borders and garter-stitch edgings. The yarn is pure wool. 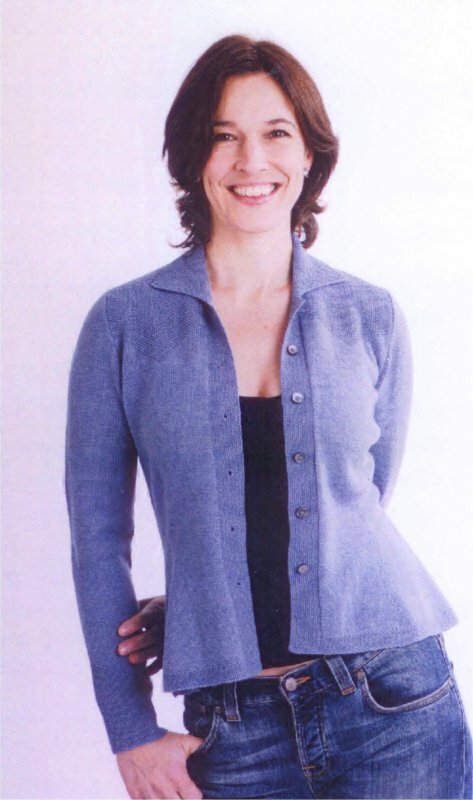 Pretty shaped cardigan with moss stitch detail creating the wavy pattern. Whirly is a lovely new design from Marion Foale. It is knit with 2 strands of yarn from the top down.